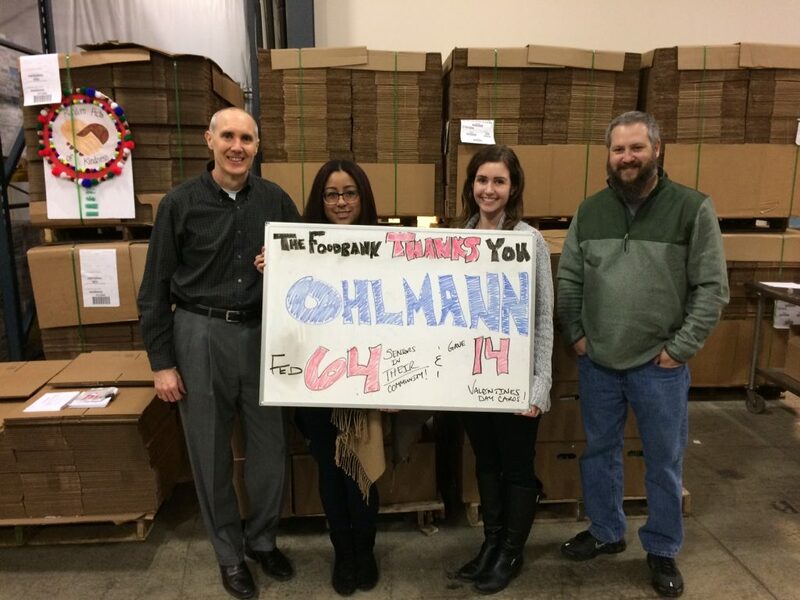 Giving back to the Dayton community is an integral part of The Ohlmann Group’s culture and history. Each month, we visit a local non-profit organization in Dayton to spend a few hours volunteering and learning more about the organizations that support our city. 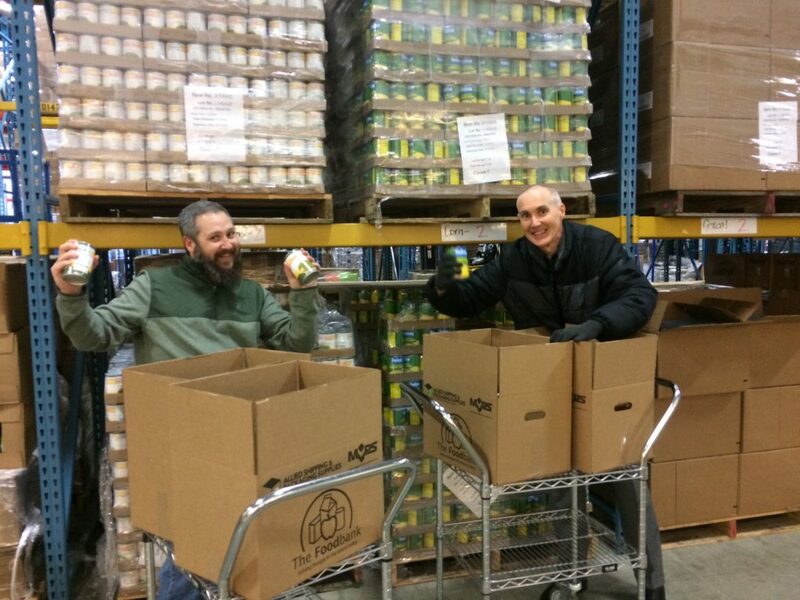 This month, The Ohlmann Group crew had the privilege of volunteering with our friends at the Foodbank Dayton. For more than 40 years, The Foodbank has served as the primary source of food for the hunger relief network in the Miami Valley. In their large warehouse, they store and distribute food and food related supplies to a number of food pantries, soup kitchens, and emergency shelters. In 2017 alone, The Foodbank provided 11 million pounds of food to food insecure individuals throughout Miami County, through the Foodbank’s member agencies, children and senior programs, and mobile food pantires! On our volunteer trip, we spent time packing senior box meals filled with essential foods like canned fruits and vegetables, chicken, milk, juice, and more for senior citizens in our community. We had a blast working as a team to “shop” the aisles of the Foodbank’s warehouse, organize the boxes, and prepare them for pickup. Once we were finished packing 64 boxes, we even spent a few minutes crafting Valentine’s Day cards for the Foodbank’s member agencies. 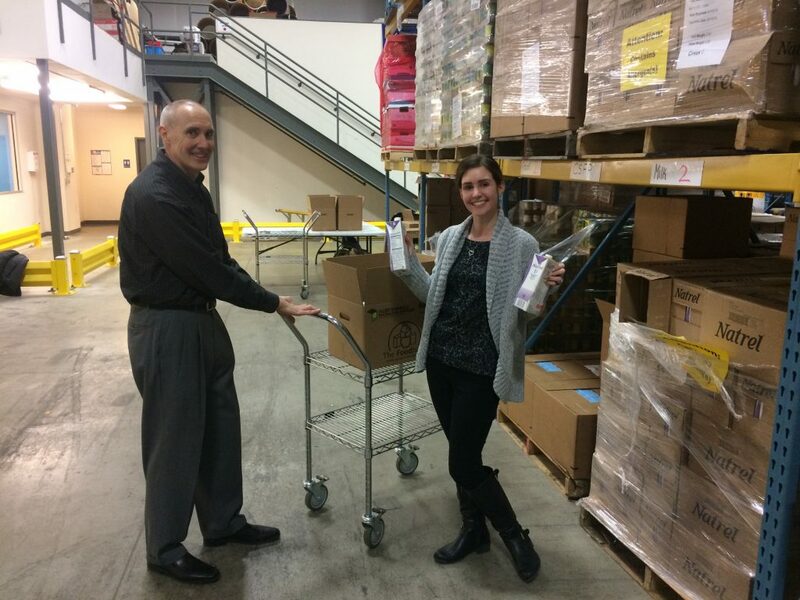 Thank you again to volunteer coordinator, Sean Mitchell, and the entire staff at The Foodbank for hosting our team again! We’re always happy to work with this organization to help hungry individuals in our community. The Foodbank is always looking for volunteers, both individual and groups! If you’re interested in volunteering, visit their website to learn about various volunteer opportunities.